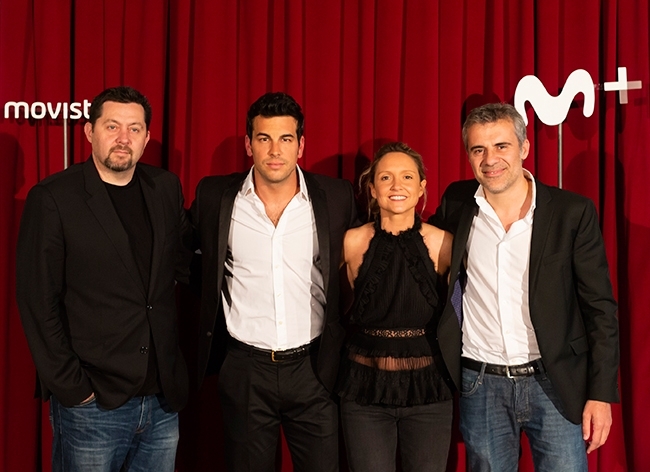 The Galician partner producer of the Cluster Bambú Producciones and the Movistar + payment platform will be working again after "Velvet Collection", now in the series "Instinct", starring Mario Casas who returns to television after participating in other film projects. The actor will star in the series "Instinto", the new original production of the platform in collaboration with Bambú Producciones, producer directed by Ramón Campos and Teresa Fernández-Valdés responsible for successes like 'Gran Hotel' and 'Fariña', which also performs' Velvet Collection 'for the television of Telephone. "Instinct" joins the long list of television fiction titles that Movistar + has yet to release. The next to arrive will be "Kill the father" (May 25) and in successive months will come "Tomorrow", "Virtual Hero", "Giants" and the new seasons of "Velvet Collection" and "Shame." The company also has in the shooting phase the adaptation of the Norwegian series "Skam", the thriller "Iron" recorded in the Canary Islands in collaboration with the partner Portocabo and "El embarcadero", which will take us to the Albufera Valencia.